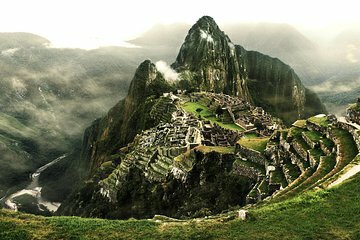 Desfrute de uma mistura de visita guiada e tempo livre em Machu Picchu, Patrimônio Mundial da UNESCO e uma das novas 7 Maravilhas do Mundo, em uma viagem de dia inteiro saindo de Cusco. Ideal para os viajantes com tempo limitado, esta excursão permite que você viaje para o local Inca de trem; faça uma excursão guiada; e aproveite o tempo livre explorando por conta própria. As taxas de entrada no museu e o embarque e desembarque no hotel estão inclusos. I would not recommend going with this company. Although everything seems to be planned out, but they expect you to figure things out on your own especially when you are getting off the train and into another bus. In fact, we asked several times the night before where we were suppose to go after we get there by train, and we we were told the tour guide was going to meet us there, which I don’t think they ever intended. When we finally got to Machu Picchu entrance, our tour guide was nowhere to be found although our tickets were for 8 am and we were calling William (the organizer) until 9:30 and he kept telling us to wait. Eventually we left and went on our own especially since the Machu Picchu mountain is only open until 10 am and we didn’t want to miss going. They were very apologetic and refunded us a small portion of the fee for the troubles which is why I’m giving it 2 stars compared to 1 or 0 (if I could) but it definitely wasn’t worth such trouble. I would recommend booking a taxi to the train station and taking the train from there followed by the bus (the bus station is very close to the train station) and save yourself a whole lot of hassle being dependent on someone else. Now this a tour our I would rcommend only if it is organised by William and Christiane is the guide. William from The Peru Travel Company is passionate about what he does. He contacted me., arranged the pick up which was at 5:20 am and thedrop off at 9 pm so efficiently.he checked in with us through out the day.The guide Christiano was excellent,knowledgeable,friendly and professional. Our experience of Machu Pichu was amazing and memorable.Christiano helped me carry my camera bag,took things in our stride.got our passports stamped with the Machu Pichu emblem. This is a new company and pir wish them the very best .May they continue to make memories for tourists in their area and keep up the reputation of Viator.